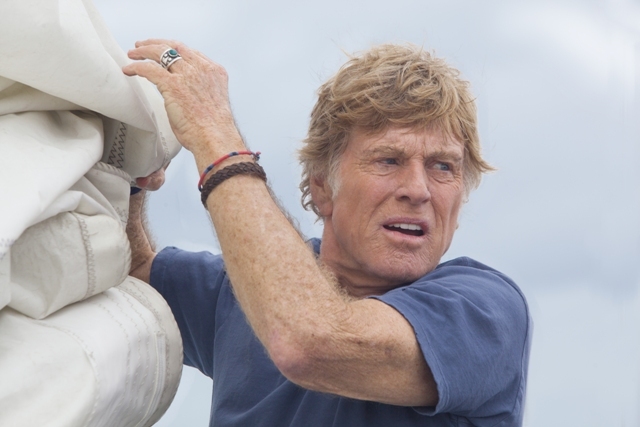 J.C. Chandor achieves pure cinema in the drama "All Is Lost", featuring Robert Redford's fine work as Our Man, a lone figure wrestling with adversity 1700 miles off course on rough seas. Hardly any words are spoken by the usually loquacious Mr. Redford, but no worry, it's the pictures that speaks thousands of them. "All Is Lost" is a testament to never giving up in life and to touching the deeper spirit of survival inside human beings. The film allows you to think along with Our Man and inhabit his shoes. "All Is Lost" is a solid, meditative drama that absorbed me. In a world where technology dominates cinema and life, Mr. Chandor's film was a throwback to classic, vintage filmmaking.